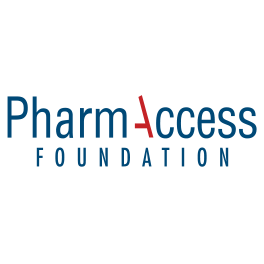 PharmAccess Foundation | "M-TIBA is truly leapfrogging healthcare in Kenya"
"M-TIBA is truly leapfrogging healthcare in Kenya"
What if the unprecedented rise of mobile phones and mobile money in Kenya can be extended to radically change healthcare as well? Safaricom, PharmAccess and CarePay believe they have developed a technology with the potential to do exactly that. 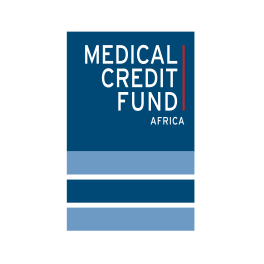 On 2 December 2015, these three partners officially introduced M-TIBA, a new health payment product that will deepen the ability of citizens to access healthcare and bring inclusive healthcare within reach. The launch in Nairobi was attended by 150 representatives from leading public and private healthcare companies and organizations. “If there is any innovative event happening on the continent today that is leading us towards the attainment of universal health coverage, then this is it. 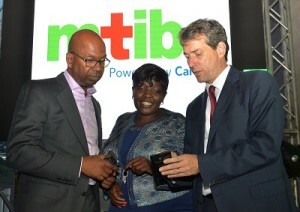 M-TIBA is truly leapfrogging healthcare in Kenya. The thing about leapfrogging is that it leaves no footprints behind. You don’t see any small steps. But I can tell you it is happening now,” explains Dr. Khama Rogo, Head of Health in Africa Initiative, IFC/World Bank Group. M-TIBA, whereby the M stands for mobile and Tiba means care in Swahili, is a mobile ‘health wallet’ that allows people to save, borrow, and share money for healthcare at very low costs. Donors and insurers can use M-TIBA to offer healthcare financing products, such as vouchers, managed funds and low cost health insurance, to specific segments of the Kenyan population. M-TIBA brings transparency and accountability to all stakeholders involved, from the patient to the government. “We are extending the capability of the mobile phone to make a tangible difference in the way healthcare is delivered in Kenya. M-TIBA will allow services to reach previously inaccessible areas to transform the way healthcare is delivered,” says Bob Collymore, Safaricom CEO. With over 25.1 million subscribers, Safaricom is the biggest communication company in East and Central Africa. 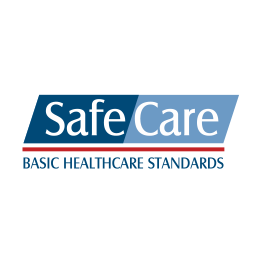 Most Kenyans do not have access to adequate basic healthcare for themselves and their families. They either rely on public services, which are often overstretched, or on private healthcare that they need to pay out of their pockets and which may not be affordable. “The elegance of the M-TIBA innovation is its direct fit to the needs of slum dwellers and poor rural populations. An individual living in the slums suffers three critical disadvantages with regards to access to healthcare. First, this person’s health consuming data and behaviors is not recorded in any official or recognized system. Secondly, this person cannot be quantified or assessed for viability as an insurable risk. Finally, this person is condemned to a life of paying for healthcare out of pocket often at higher than acceptable costs due to the constant catastrophic nature of spend,” says Willy Soriney, Strategic Partnerships Director, sub-Saharan Region Pfizer Inc. The Pfizer Foundation is the first donor partner which will use the M-TIBA wallet to reach specific groups in the slums in Nairobi in a trial program called “Jaza Jaza”. With M-TIBA all payments for health services and products are digitally recorded on real-time basis. 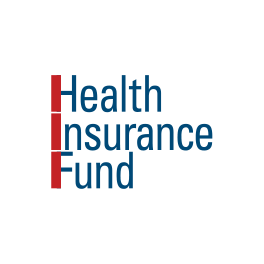 Furthermore, since people can pool resources, they can effectively pre-pay for health while improving their insurable risk profile. That M-TIBA stimulates savings is what was witnessed during a nine month trial at 44 clinics reaching 10,000 beneficiaries living in informal settlements in Nairobi. Each registered user received KES 1,000 (US$ 10) in their wallet, earmarked for treatment for children up to the age of 5 years only. More than 90% of the users and participating facilities responded positively to the health wallet. 63% used the wallet during the six month test period and 77% of the women indicated that they were willing to save for health in their wallet. “For patients having health benefits such as vouchers or, in future, an insurance cover stored on their phones, it gives them the peace of mind that they can pay for healthcare when they need it. It also allows them to “vote with their feet”, empowering them to choose the healthcare provider of choice. In short: it changes people from beggars into choosers”, says Kees van Lede, M-Health Director for PharmAccess. Using M-TIBA, funds will be placed in specialized health wallets through M-Pesa and their use will be restricted to spending at healthcare providers who form part of a nationwide M-TIBA network. Currently, more than 1800 healthcare providers have signed up across Kenya. Donors will receive real-time access to monitor the use of their funds. “M-TIBA will create a situation for donors of full transparency on the use of their funds, reaching their target beneficiaries in a direct, efficient and effective way. We hope that we can convince donors, insurers, government and, most of all, millions of Kenyans to start using our platform,” said Michiel Slootweg, CEO of CarePay. CarePay is a Kenyan company operating a revolutionary mobile transaction and administration platform managing healthcare payments between funders, patients and healthcare providers. Theresa is a mother of two who lives in Kibera, who participated in a savings program on her M-TIBA wallet. Her monthly savings of KSH 100 were each month matched with the same amount. Theresa uses the savings in her health wallet to pay for the treatment at one of the clinics signed up to the M-TIBA network. The clinic bills Theresa through submitting the treatment data. Just like with paper based systems for insurance or vouchers, the treatment data is then checked by a medical person. If the treatment has been approved, Theresa’s payment request is immediately accepted and the money is transferred to the healthcare provider. Since M-TIBA runs on the mobile money platform of CarePay, the money arrives at the healthcare facility almost instantaneously. Who can tell it better than Theresa? Watch Theresa’s story on YouTube.